The National Bureau of Statistics (NBS) at the weekend released a report on the Internally Generated Revenue (IGR) of the 36 states of the federation, which exposed the financial strength of each of the states. The report ranked the states in terms of IGR, the level of their debt profile and allocation that accrued to them from the federation account in 2017. Based on these factors, the report classified the states in three categories according to their financial status – richest, middle class and poorest. The report put the total IGR of the 36 states for the whole of 2017 at N931.23 billion, a figure higher by over N100 billion compared to 2016 figure of N831.19 billion. According to the report, the IGR of Lagos, Rivers, Ogun, Delta and Kano states is two-thirds of the total internal revenue generated by all the states in 2017. It further said: “Thirty-one states recorded growth in IGR while five states, which include Akwa Ibom, Anambra, Bauchi, Osun and Taraba recorded a decline at the end of 2017 fiscal year,” NBS noted. The report disclosed that five states with the highest IGR include Lagos – N333.96 billion, Rivers State – N89.484 billion, Ogun State- N74.83 billion, Delta – N51.88 billion and Kano with N42.41 billion. Similarly, the poorest states going by the meagre IGR generated in 2017 are Yobe with least internal revenue of N3.59 billion, Bauchi N4.36 billion, Kebbi State N4.39 billion, Ekiti N4.96 billion and Borno N4.98 billion. The NBS report states that Kwara State generated IGR of N19,637,873,512.22, and collected federal allocation of N33,107,193,728.78 in 2017. 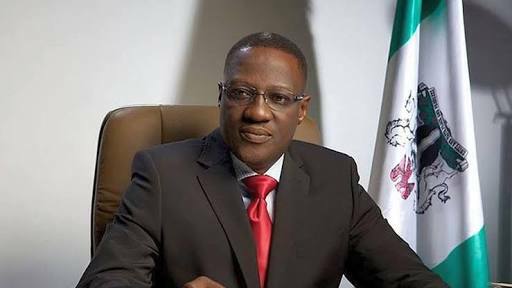 According to the report, the foreign debt of Kwara stood at $50,726,593, while its domestic debt stood at N40,264,714,626.56. With these figures, the report categorise Kwara among the middle class states.